Former Chicago Police Officer Jason Van Dyke was sentenced to 6 years and nine months in prison on January 18 for the fatal shooting of 17-year-old Laquan McDonald. In a trial that has made history as a significant chapter in Chicago’s narrative of police violence, many are left baffled as to how Van Dyke escaped the highest possible sentence of 96 years. On the morning of the sentencing the Leighton Criminal Courts Building on Chicago’s south side had a line almost out the door. The street was lined with satellite trucks. News stations from all over the city and nation crowded the interior hallway. Tiffany Van Dyke, Jason’s wife, entered the court house surrounded by several officers, covering her face as she entered with her two daughters. The line was filled with community members and activists like William Calloway, who has been attending court proceedings since the beginning of the trial in 2015. 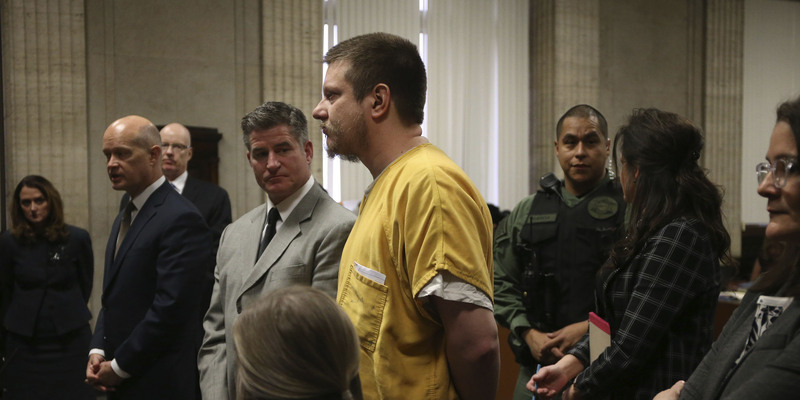 People sat shoulder to shoulder in the packed courtroom as Cook County Judge Vincent Gaughan listened to witnesses from the prosecution and defense for more than eight hours, before ultimately deciding Van Dyke’s fate. Van Dyke accumulated more than 20 complaints during his career in the Chicago Police Department (CPD). 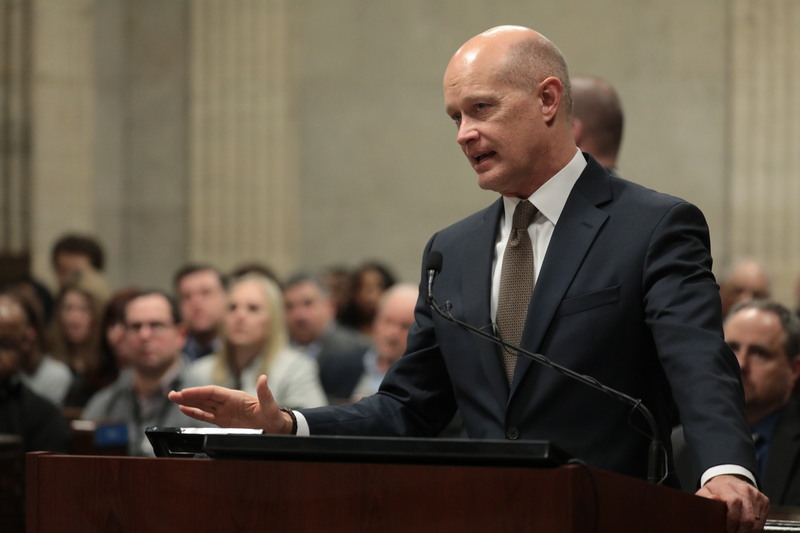 The prosecutors brought forward five of those witnesses who all testified to being mishandled and abused by Van Dyke, all of which happened during routine traffic stops. One witness in particular, Edward Nance, sobbed uncontrollably while taking the stand, vividly describing how Van Dyke mistreated him. Nance’s injuries were so severe he required surgery in both arms and to this day has not regained their full use. Van Dyke was never disciplined for his actions, even after Nance filed a lawsuit in 2009 and won over $300,000 in damages. The defense called mostly family members to the stand to testify on Van Dyke’s behalf. 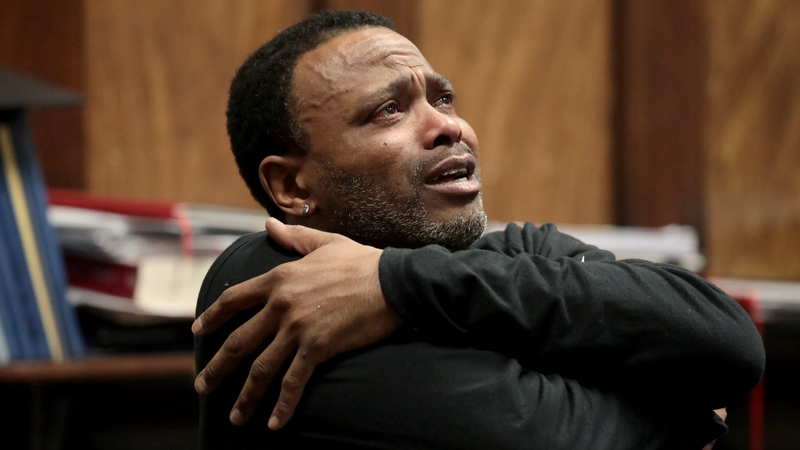 Both of Van Dyke’s daughters took the stand in an emotional plea to be reunited with their dad. Dean Angelo Sr., former president of Chicago’s Fraternal Order of Police, also testified on his behalf, defending his use of lethal force on McDonald. Angelo also said that Van Dyke was not the monster that the media portrayed him to be. “He is a big gentle kid. He’s a hard worker. He’s dedicated. He’s a good dad. He’s religious. He’s quite loyal,” said Angelo. 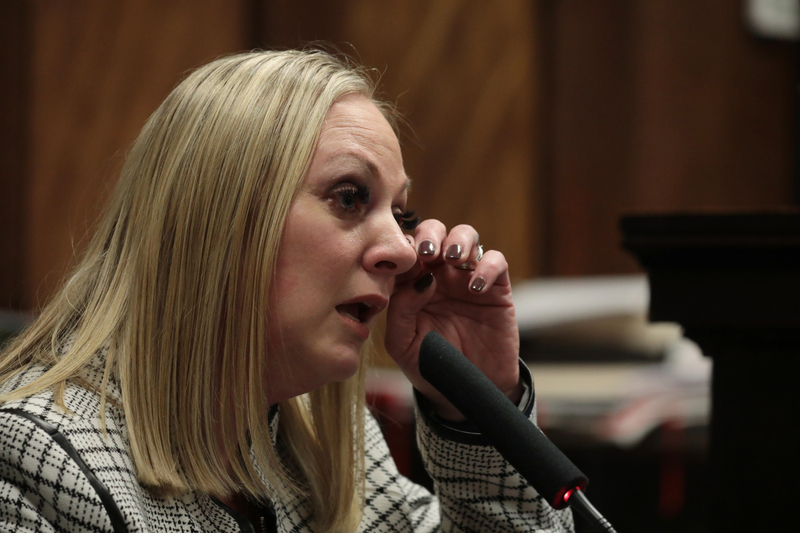 The last cry for leniency came from Tiffany, who detailed her family’s anguish during the last several years as the trial unfolded. She sobbed loudly as she said her greatest fear was the possibility of her husband’s long prison sentence. “Please, please, he has paid the price already. My heart and soul are broken. They will not be mended until he comes home,” said Tiffany. Special Prosecutor Joseph McMahon recommended Gaughan to sentence Van Dyke to a lengthy prison sentence of 18 to 20 years. McMahon strayed away from the much-circulated sentence of 96 years for several reasons. In the state of Illinois, first degree murder carries a maximum sentence of 60 years, but someone convicted of first-degree murder with a firearm can receive up to life in prison. McMahon argued that the state can’t sentence Van Dyke to the maximum of 96 years because he was convicted of the lesser charge of second-degree murder which carries a maximum punishment of 20 years. 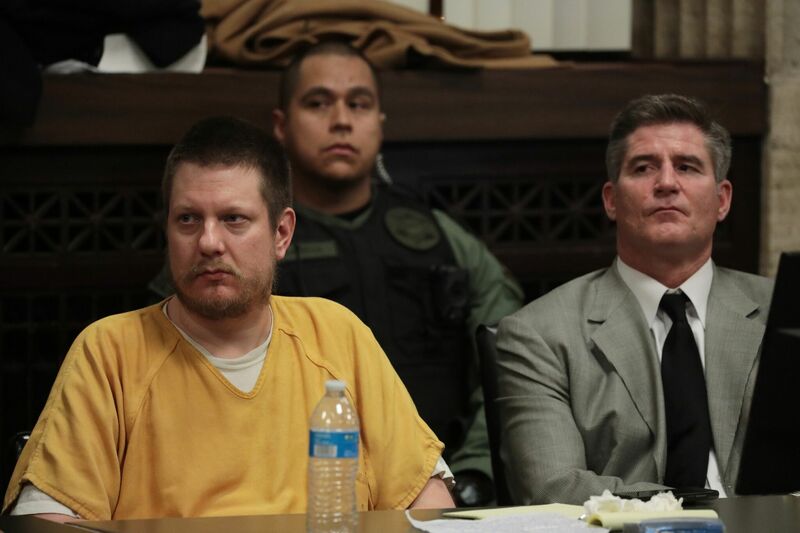 The prosecution closed its argument stating that although the situation is hard for the Van Dyke family and all other law enforcement families watching, Van Dyke needed to be fairly punished. “His conduct was so egregious, so different from every other police officer at that scene. That is why we are here today,” said McMahon. Darren O’Brian, from the defense team, aggressively pushed for probation citing Van Dyke’s 50 police commendations and his clean record. “This was the first time he ever fired his weapon in the line of duty…It means whatever was going on in that street that night scared him more than anything else he ever saw,” said O’Brian. Before a short recess, Van Dyke addressed the court in a short letter where he said how sorry he was for taking McDonald’s life. Gaughan returned to court opening with a statement declaring that he knew his decision would disappoint “100 percent” of those in the courtroom. “When it gets easier to sentence someone they should get out of the business,” said Gaughan. Gaughan also said that in creating his decision, the law required him to consider the most serious conviction and apply it to sentencing. Therefore, choosing second-degree murder over aggravated battery. Counting aggravated battery as one charge and not 16, Gaughan explained that through common sense it’s more serious to be murdered by a firearm than shot by a firearm. Although his reasoning is clear, it’s uncertain exactly how Gaughan chose the 81-month sentence when second degree murder carries a four to 20-year sentence in the state of Illinois. In a press conference after the sentencing, Hunter expressed disbelief in the leniency of the sentencing, but remained optimistic stating that any time sentenced still sends a strong message. Van Dyke will likely serve only half of his 81-month sentence, since second-degree murder is eligibility for day-for-day good conduct credit. Header photo by Antonio Perez/Chicago Tribune/Pool.